The Ronald E. McNair Post-Baccalaureate Achievement Program is a Ph.D. preparatory program that prepares eligible first-generation, low-income, and/or minority undergraduate students for doctoral study through involvement in research and scholarly activities. The purpose of the McNair Scholars Program is to assist in the academic and professional development of undergraduates whose goals are to teach and research at the college level. 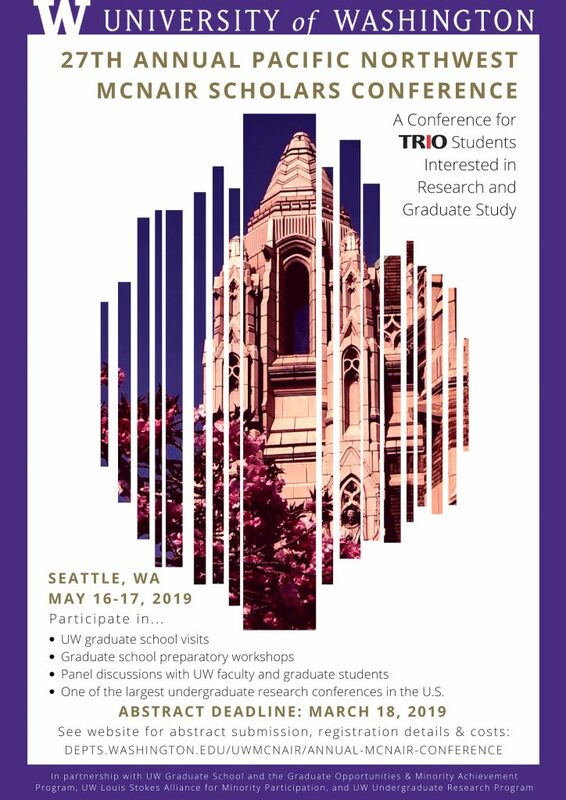 In order to help students achieve these goals, the program sponsors and supports undergraduate experiences that lay the foundation for a successful graduate school experience. By fostering mentoring relationships, promoting undergraduate research, assisting with GRE preparation, and enabling students to attend and present at conferences, we aim to produce highly competitive graduate school applicants who have the skills and experiences necessary to succeed in their programs. If you want similar assistance applying to other graduate programs, but are not intending to pursue a Ph.D., please refer to our Additional Resources page. 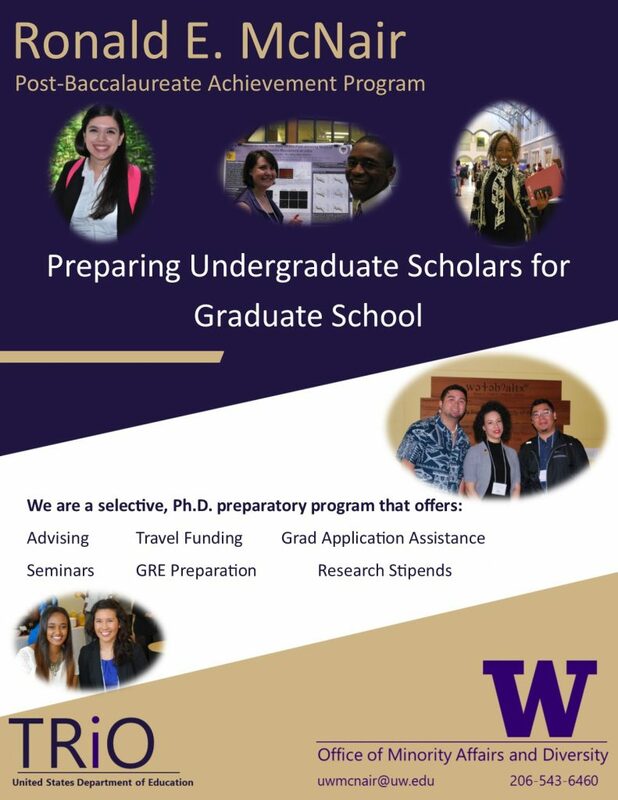 Want to learn more about Program Benefits and how the UW McNair Scholars Program can help you achieve your goals?